Ryan Seacrest is famously passionate about music: Millions of Americans know him from his roles on American Idol, American Top 40 and his Los Angeles morning radio show, On Air With Ryan Seacrest. Less well known, however, is the television and radio host’s deep love—nay, “obsession,” as Seacrest puts it—for wine. 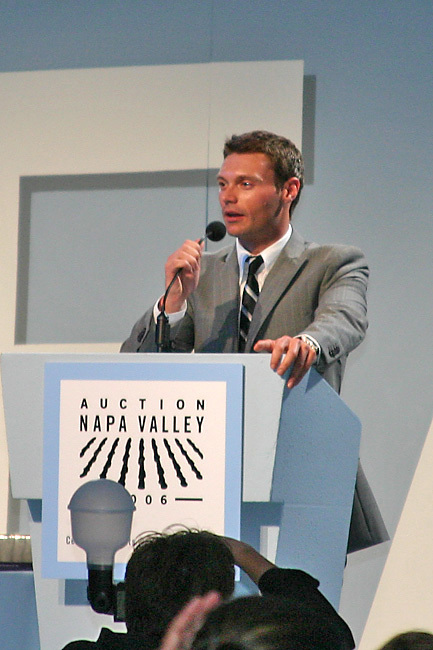 When Seacrest, 40, got his first job as a DJ for a local radio station in San Francisco almost 20 years ago, he was thrilled that his salary would allow him to budget for a great bottle of California wine every week. His fondness for the wines of his adopted home state, and his friendships with Napa vintners, eventually led him to a new hosting gig in 2006: Auction Napa Valley. Seacrest chatted recently with assistant editor Esther Mobley about the wines he drinks, how he cellars them and why he’s so obsessed. Wine Spectator: Have you always been interested in wine? Ryan Seacrest: When I was growing up in Atlanta, my father had a very small closet collection and eventually built a little wine cellar in the basement of our house. He would drink red wine with dinner, and he started to introduce it to me … [laughs] when I was of age to be introduced to it. 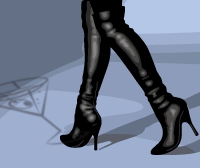 I developed a real passion, and it was something he and I bonded over. Eventually it became something that navigated my travel and my dining—that whole aspect of my life. WS: What do you drink? RS: I love rosé Champagne. I like very dry white wines—any of the drier whites that come from the Napa Valley and white Burgundies. I drink red with chicken, fish and meat. I love the Colgin wines; I think those are some of the best in the Napa Valley. I drink the Napa Valley Reserve. One of my favorite Bordeaux is La Mission Haut-Brion; it’s a great value for a fantastic wine. And I love tequila—my tequila of choice is Casa Dragones. WS: Do you have a cellar in your home? RS: I built one in this new home when I moved into it.